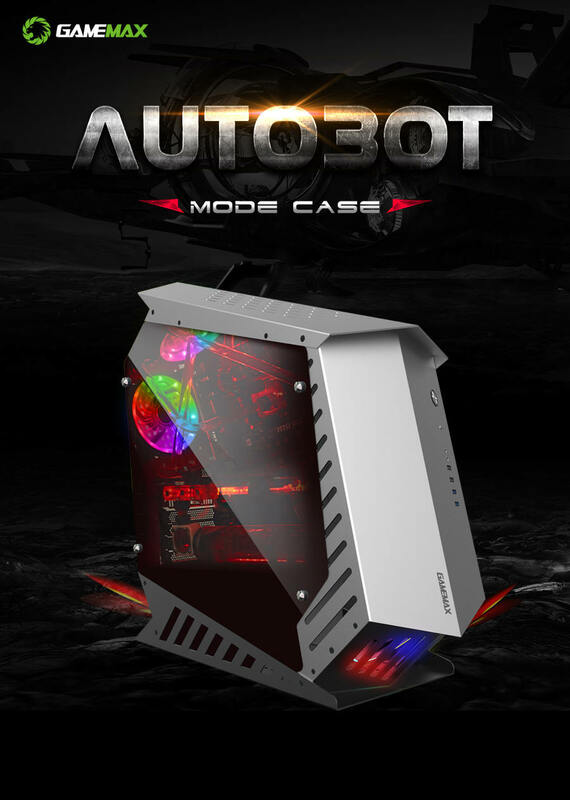 GameMax AutoBot full aluminum with 4xUSB and rainbow addressable fan, Mod Gaming chassis with Unique aesthetic design, treeific dream masterpiece, the body of aluminum chassis is processed by CNC machine tools subtly, Addtional tempered glass dual side panel for expand maximum looing inside and colorful light internal. 4xUSB ports in the font panel easy to extend external setting and USB3.0 high transfer speed, Compatiable with mainstream hardware components install easier by extreme internal big space. 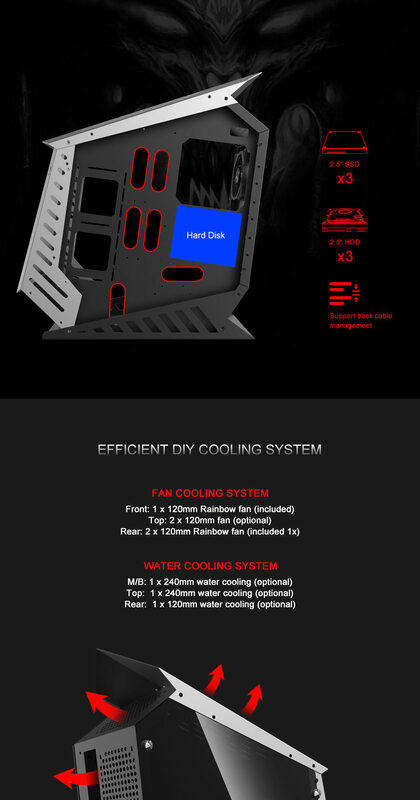 AutoBot come with a PWM+Rainbow controller hub itself, and pre-installed 3x 12cm rainbow fans, which can use build-in over 100 mode of light program, also suppor to SYNC with AURA motherboard by software control, make your PC system is more fan!